There used to be a railway that ran between Ottawa and New York City. It was in operation from 1898 to 1957. 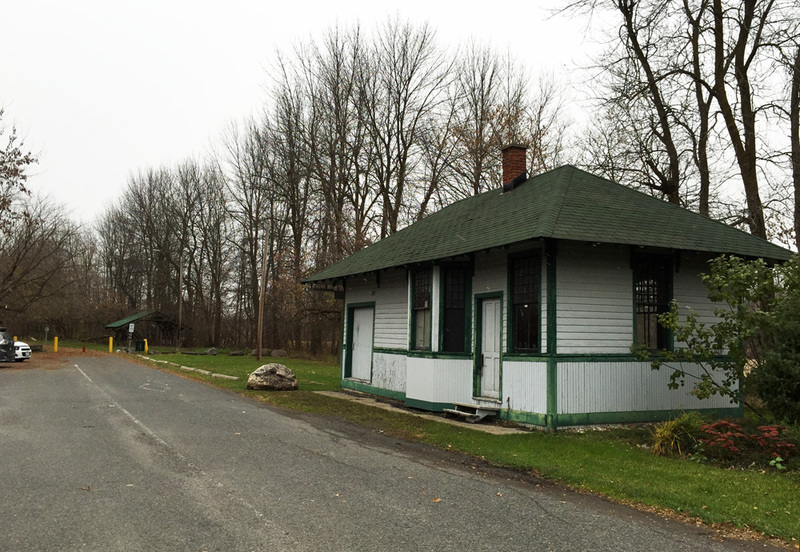 In 1979 the Township of Russell purchased a 7.2 km section of the line between the villages of Embrun and Russell and turned it into the New York Central Fitness Trail. i found myself in Embrun with a bit of time to kill (my son was playing in a hockey tournament and there was a gap between games) so I went and tried the trail. Here’s what it’s like. The Embrun Arena Is a convenient place to start. There’s room to park should you choose to drive there, and Blais St has a nice wide shoulder you can follow to get the start of the trail. Or you could park just beside the trailhead. 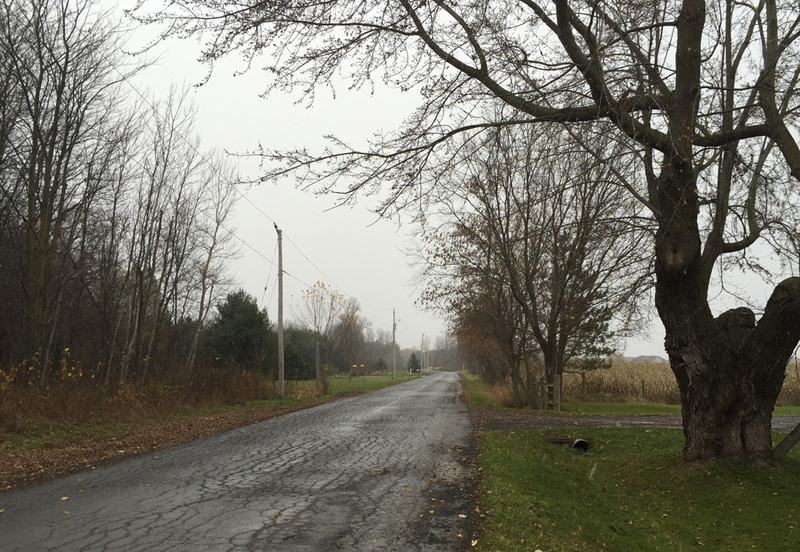 The entire path is paved, rolling past farmland and backyards. At times it runs alongside roads, but never without a good buffer of trees. There were lots of little foot bridges from back yards to the path, which suggests it’s well used by the locals. I did come across a number of friendly dog walkers, bike riders and joggers. 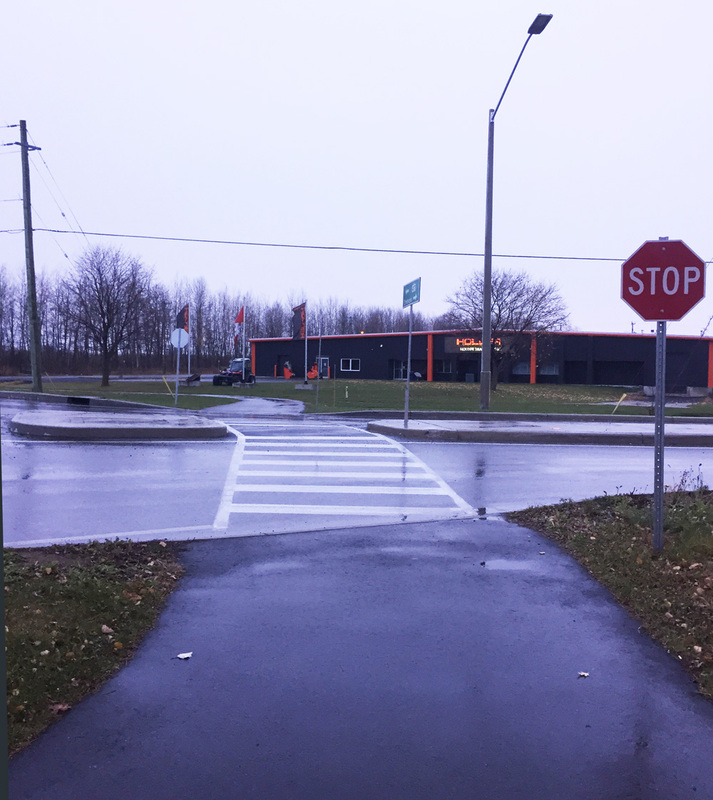 Street crossings are well marked and felt safe, including the round-about at the intersection of Notre Dame St and St Guillaume Rd. The trail ends in the town of Russell when it reaches Forced Road. 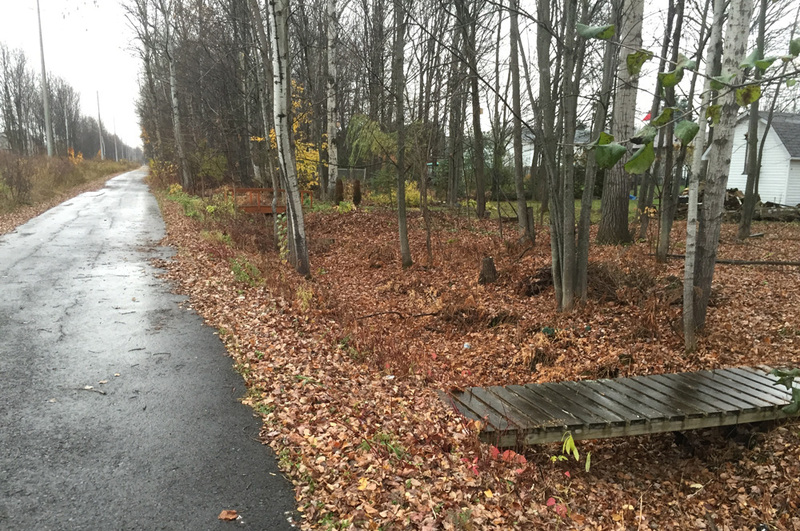 That’s where the paving stops, however there’s a path that continues west along the old trail line. 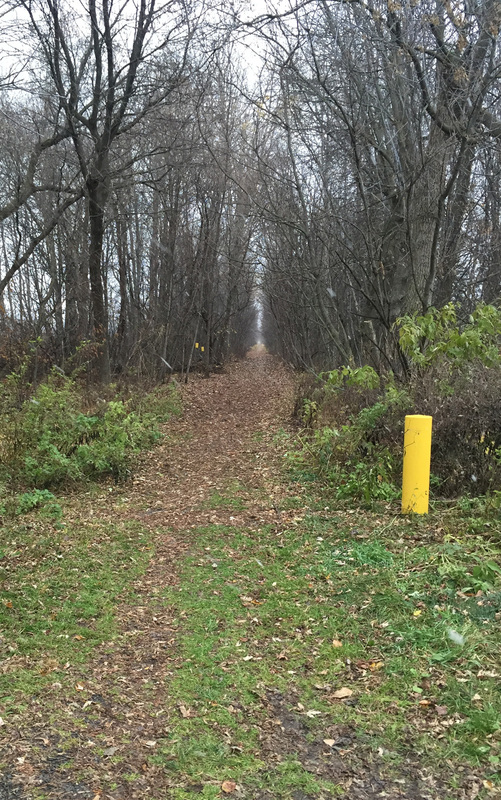 This link claims there are plans to continue the trail to Ottawa, which would be great! At the end of the trail I turned south down Forced Road. It’s a quiet country road. I had planned on doing a loop back to Embrun along side roads, even managed to cross the Castor River through Russell, but when I found myself white-knuckle-riding along narrow two lane roads with no shoulders and speeding traffic (not included on the above map) I decided to take the trail back. 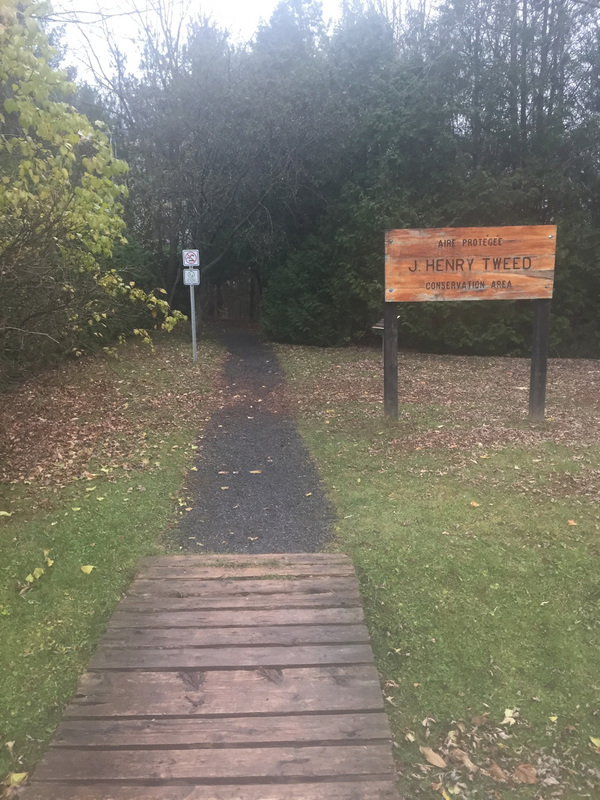 I’m glad I did, because near the south end of Forced Road I discovered Sherwood Trail that runs through the J Henry Tweed Conservation Area, that eventually joins up with the New York Central Fitness Trail. Go figure! I’ve marked this section in red on the above map. 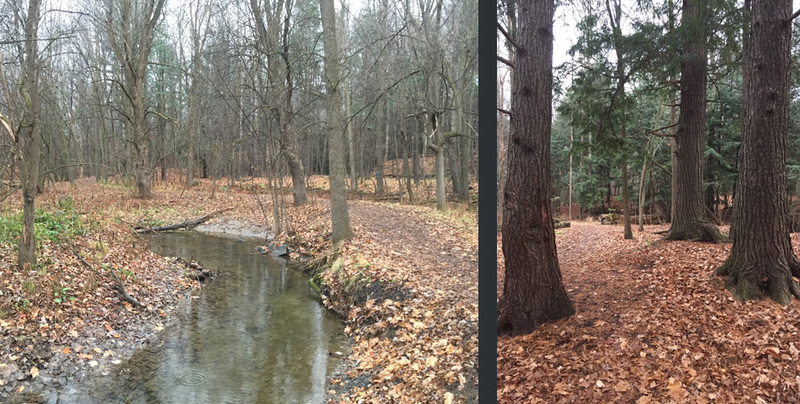 Sherwood Trail is a magical meander through a combination of deciduous and coniferous trees. Sherwood Path along the stream….. and through the trees. 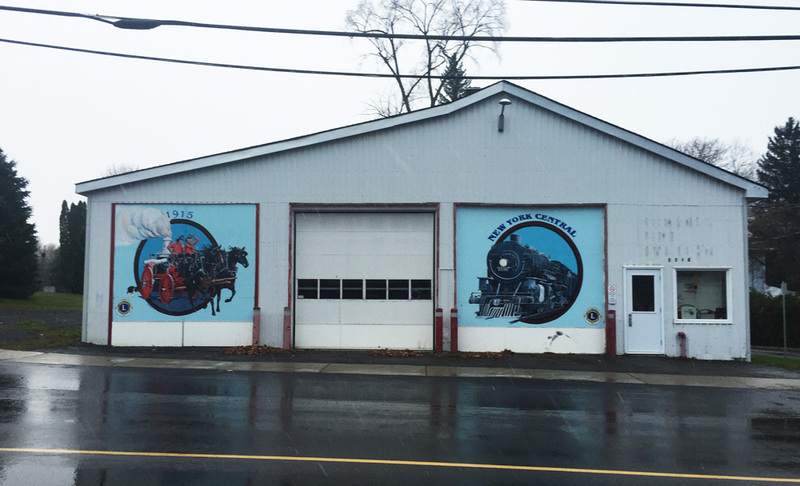 I rejoined the New York Central Fitness Trail and headed back to Embrun. 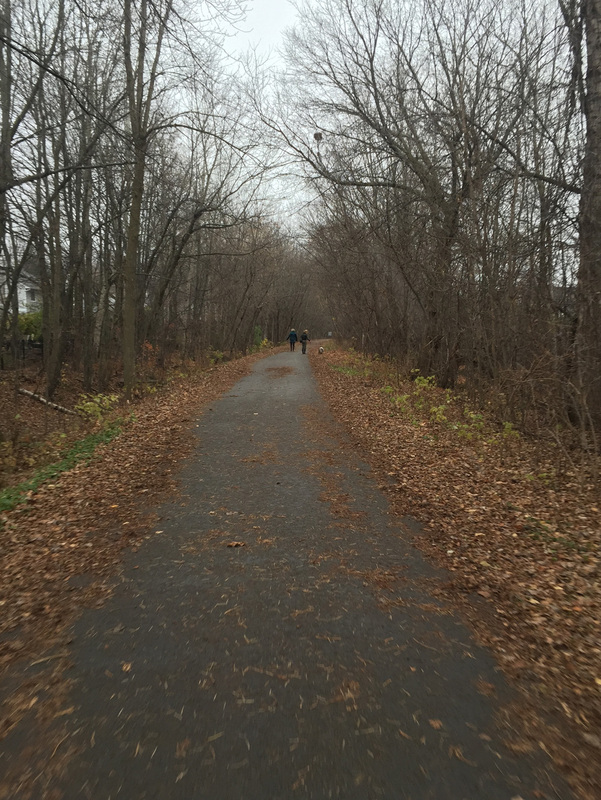 Next Next post: Riding the Churchill Avenue Bike Track!